An alleged apology letter from the late US Senator, Robert F. Kennedy's daughter, Kerry Kennedy is now circulating online. 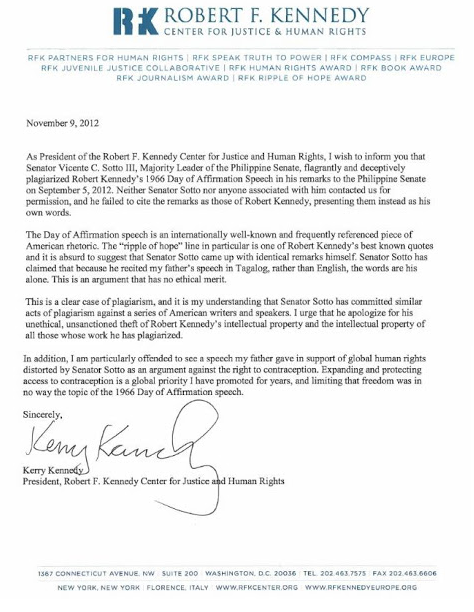 Kerry's letter confirmed that Philippine Senator Vicente "Tito" Sotto III indeed plagiarized her father's speech and demands a public apology. 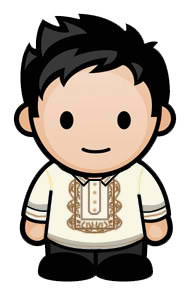 Tito Sotto on "Copying as the Highest Form of Flattery"